Comment: estimate fot area adjacent to drive to park car. Comment: Two projects: 1. Definitely need to repair the front sidewalk leading to the house. Tree roots caused lifting and settling. When it rains, water pools in front of the steps leading into the house. 2. There are some sections of my driveway that have cracks in them and some of the joints are now misaligned (one side is higher than the other). Comment: I would like to get an estimate for installing pavers for a patio. Please call me when you are on your way. Lyon Blalock & Sons, Inc.
Down to Earth Designs, Inc.
Cary Concrete Contractors are rated 4.73 out of 5 based on 810 reviews of 47 pros. 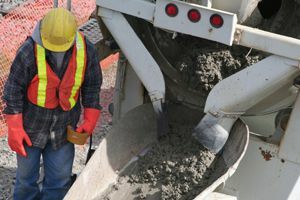 Not Looking for Concrete Contractors in Cary, NC?